888 Poker is a leading name in online poker venues, with over five million registered players worldwide. It was named Poker Operator of the Year by the eGaming Review Awards three years in a row, along with Best Poker Software in 2010 and Socially Responsible Operator of the Year in 2010. This comprehensive poker site gained popularity due to its association with leading tournaments like the World Series of Poker (WSOP) and Aussie Millions. 888 Poker has also had endorsement deals with professional poker players including JC Tran, Jackie Glazier, Sam Holden, Jessica Dawley, Jesse Sylvia, Bruno Kawauti, Nicolau Villa-Lobos, Russell Thomas, Jake Balsiger, Michiel Brummelhuis, and Jay Farber. For a limited time only, new players registering for an account don’t need to deposit any real money to reap the rewards at 888 Poker. Simply sign up with a valid email address and you’ll receive $88 in credits to play with. There are some confusing stipulations to this no-deposit bonus, and we recommend you’re probably better off just moving straight to making a real money deposit in order to truly benefit from this sites promotions. When depositing real money to your account, you have the chance to double your bankroll with a 100% matched deposit bonus. This means if you throw down $20, 888 Poker will match it with an extra $20. Deposit $200 and you’ll be entitled to the maximum bonus of an additional $200, leaving you with a hefty $400 to play with. Note that bonuses are awarded in $10 increments every time you accumulate 100 bonus points to your account. You can keep an eye on your points balance by watching the bonus meter grow, which appears above your table as you play. Refer to the sites promotions section for full terms and conditions. Like most of our recommended gambling venues, players at 888 Poker have the choice to access games via the instant play casino for free in demo mode, or by downloading the sites full software. 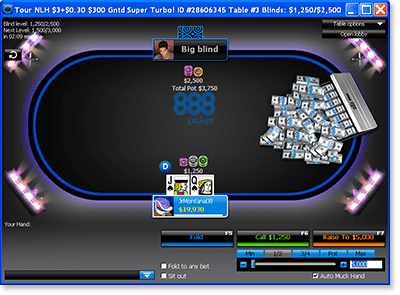 888 Poker has been highly praised for its downloadable software, which is free and only takes a few minutes to install. The gaming software is certified by such leading bodies as McAfee, TRUSTe, GameCare and ICRA. Downloading the software gives you access to more options, like the interactive PokerCam, 3D poker and the ability to play private games with friends. The gaming lobby is also fully customisable and you can choose to alter the graphics and design to your own personal preferences. Choosing the instant play version may limit these options, but it also comes with the added benefit of being fully accessible over any Web browser or operating system. Whichever version of 888 Poker you choose to utilise, you won’t be disappointed. The gaming catalogue at 888 is vast, and you’ll find all of the world’s most popular poker variants here. 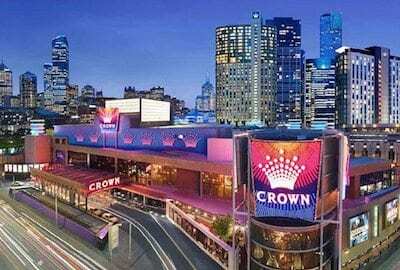 Games come in no limit, fixed limit and pot limit betting formats. The site offers cash games, sit and go games, tournament play and snap poker. Poker games on offer include Texas Hold’em, Omaha, Omaha Hi/Lo, Seven Card Stud and Seven Card Stud Hi/Lo. Multi Table Tournaments (MTTs) – at the start of the event each player receives equal amounts of chips and blinds increase with the aim to accumulate as many chips as possible. Sit and Go Tournaments (SNG) – these single table tourneys start when a certain number of players have registered, starting with a small stack of chips with blinds increasing quickly. Heads Up Tournaments – games are played one-on-one and can be the greatest way to put your skill to the test, with the winning player enjoying 100% of the victory. Satellite Tournaments – satellites run for entry to some of the most prestigious poker tournaments, at a fraction of the cost of the main buy in. You can win your chance to enter some major tournaments with huge wins up for grabs. Freeroll Tournaments – freerolls are recommended for newbies and you’ll find them filled with beginners. Tournaments are free to enter but come with real money prizes, giving beginners an awesome way to boost their bankrolls. 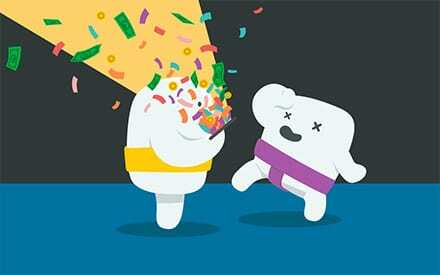 Status Points – players accumulate points when playing any game while logged in. When playing a ring game or tournament, two status points are earned for every $1 of the rake or tournament fee. You can also rack up status points on your poker account when playing at the 888 Casino. There are ten status levels to move up between, starting at blue level and increasing all the way up to VIP Diamond status. The higher your status, the higher the level of rewards points you receive. Rewards Points – reward points are accumulated at a higher rate when achieving a higher status level. These points can then be used to convert to cash or to buy high end merchandise in the 888 online shop. A minimum of $10 in rewards points can be withdrawn at once. Points don’t expire unless your account is inactive for three months or more. You can check your current level of points by clicking on ‘My Rewards Points’ within the ‘My Profile’ section in the poker lobby. Players are well looked after at 888 Poker and if you can’t find the answer to your query on the FAQ section then help isn’t far away. Live chat with a customer service specialist is available between 1PM to 4PM and 6PM to 8PM (GMT) daily with assistance delivered quickly and effectively. There are also country-specific toll-free numbers available for instant telephone assistance. Alternatively, email [email protected] or fill out the online inquiry form on the Contact Us page.